Holidaymakers planning trips abroad in the coming days will be monitoring the progress of the pound closely following the surprise general election result. Thursday's (June 8) election ended in a hung Parliament - with no single party forming an outright majority in the House of Commons. The result came as a surprise to politicians and pundits alike. However, it also took financial markets by surprise, with currency traders not expecting such an outcome. Overnight, the pound fell against major currencies such as the dollar and the euro, which could have consequences for those heading overseas in the next few days for foreign holidays. As Britons were waking up to news of the shock result, the pound was down by 1.5% against the US dollar to 1.27 following overnight Asian trading. 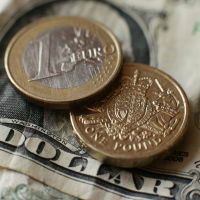 It was also lower against the single currency, standing at 1.13 euros. The majority of the pound's losses came on the back of an exit poll yesterday evening, which first indicated that a hung Parliament could be on the cards. Of course, currency isn't the only thing travellers need to think about when heading on their summer holidays. Trusted travel insurance can also help them to avoid the costs of unexpected occurrences, such as illness, injuries, lost luggage and flight cancellations. He said: "The drop in GBP/USD after the exit polls was very significant but even then, it remains slightly above the level that it was trading at prior to (Theresa) May calling the election back in April. "Clearly there is no panic yet, but should coalition talks fail and the prospect of another election prevail, I struggle to see it maintaining these levels." Many investors were predicting a healthy Conservative majority in the Commons, but the party has lost seats across the country.